The fifth of the Ten Commandments states that you have to honor your father and mother. Why does it say “honor” not “love”? And what does it mean to honor your parents. To love God one has to hate evil. This is the fourth installment in Dennis’s series on explaining key concepts from the Bible. Dennis examines an important, but rarely cited verse in the Bible – do not favor the poor in judgment (Leviticus 19:15). This is the fifth in Dennis’s series explaining the relevance of the Bible. A first principle of the Bible expressed in Genesis 1:1 is that God created nature. He is above nature. Nature is amoral. God insists on ethical behavior. 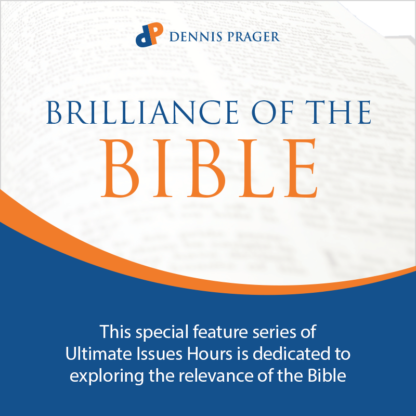 This is the sixth in Dennis’s “Relevance of the Bible” series. Capital punishment is the only law repeated in all five books of the Moses, the Torah. That’s how central it is to the Bible. It begins with Genesis 9:6. This is the seventh installment in Dennis’s Bible series. In the eighth installment in his series explaining key Bible concepts, Dennis discusses the importance of separation. Among the important separations noted in the Bible are Man/God, Man/Animal, Man/Woman, and Sacred/Profane. One of the most common phrases in the Bible is “the beginning of wisdom is the fear of God.” You can find it in Psalms, Proverbs and Job. Dennis explains what the verse means. This is the 9th in Dennis’s Brilliance of the Bible Series. Dennis resumes his series on the Brilliance of the Bible. What does it mean to be holy? You can make the case that all of the Ten Commandments can be encompassed in the eighth commandment, Do Not Steal. For example, Do Not Murder can be interpreted as you can’t steal a life. Dennis explains the Bible’s position on human nature – we are not born good. We need to values to shape our nature. This is the twelfth of his Brilliance of the Bible Series. The Hebrew Bible introduced a unique concept — man could question and argue with God. That’s what Abraham does at Sodom and Gommorah. Dennis reviews his fifteen part series highlighting the brilliance of the Bible, synthesizing the themes he’s developed over the course of the year.